Chemeca is the name given to the annual Australian and New Zealand conference of industrial chemists, chemical and process engineers. 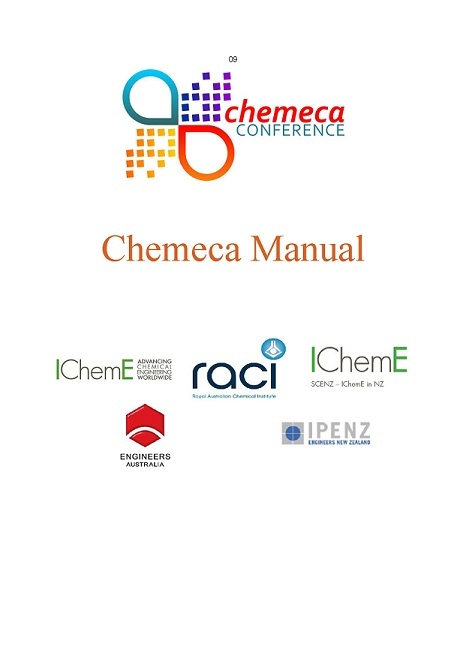 The Chemeca conference is run by the Australian and New Zealand Federation of Chemical Engineers 1 (the Federation). The Federation delegates authority to organise the annual conference to the local branches of the Federation (in Australia this delegation is the state based committees and in New Zealand this is to committee convened by the Board of IChemE in NZ and IPENZ). Chemeca is an opportunity for presentations to be made by from academia, industry and the regulators, and is the venue for meaningful exchange of ideas amongst the professional chemical and process engineering community. It also provides a forum for plenary and other pre-eminent speakers to present the innovation, cutting edge research, technology, government regulation and industrial developments. Industry involvement in presenting and attending is a key aspect of Chemeca. Young engineers events and “industry days�? have featured as valuable aspects of Chemeca conferences. Appendix A lists the national chemical engineering conferences (including Chemeca) dates and locations. This Chemeca Manual will be maintained by the Federation.